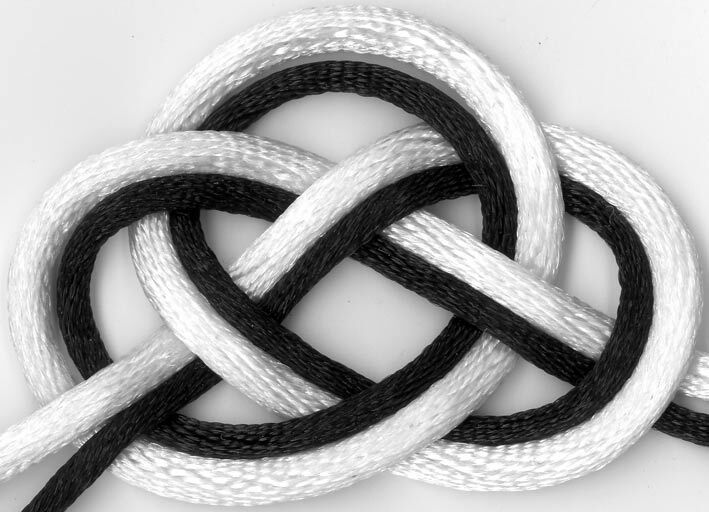 A basic double coin knot tied in a black edged white oval shoelace. 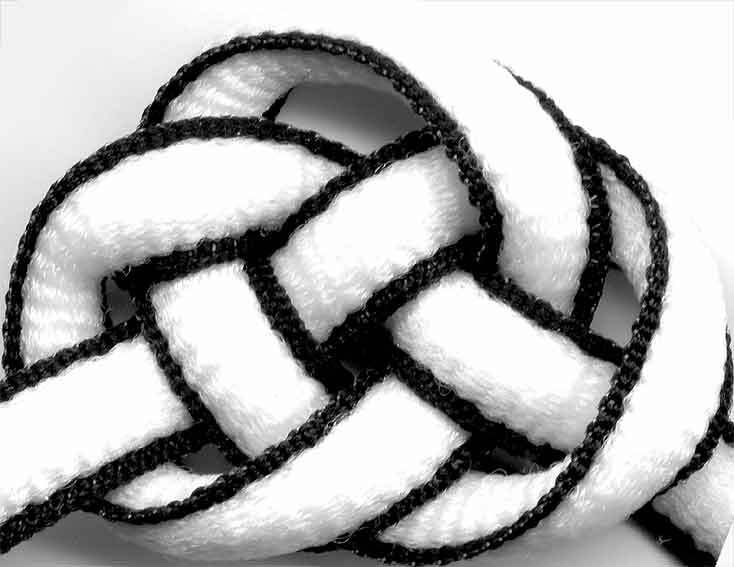 A basic double coin knot tied in white sidelined in black. 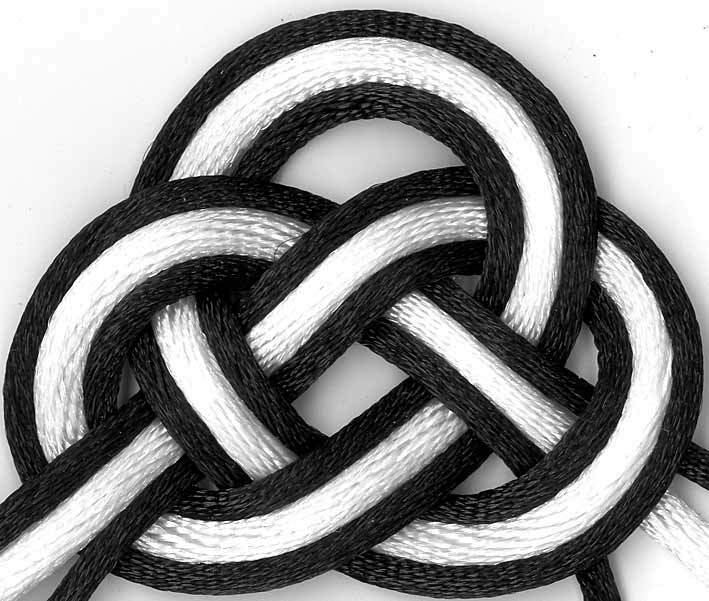 A basic double coin knot tied in white outlined in black. 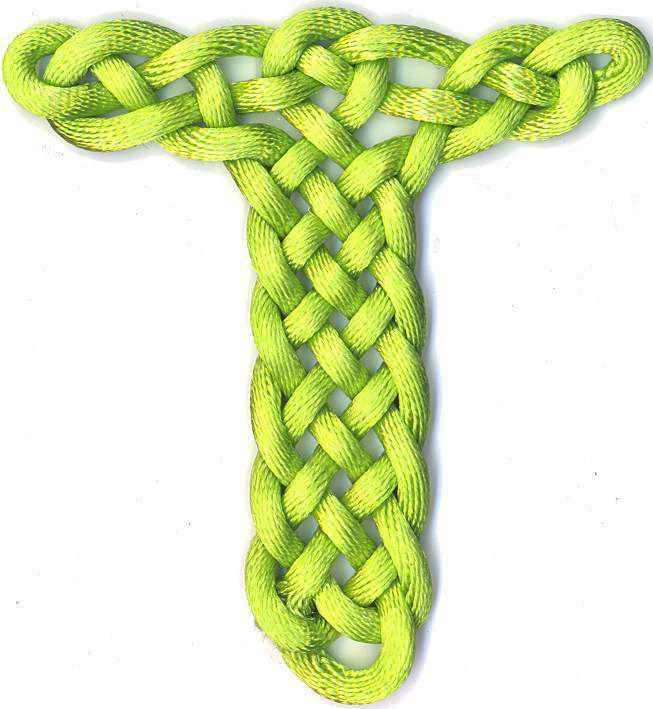 A letter 'T' made using double coin/carrick mat techniques. Read more about the other letters and the letter 'T' in the blog.